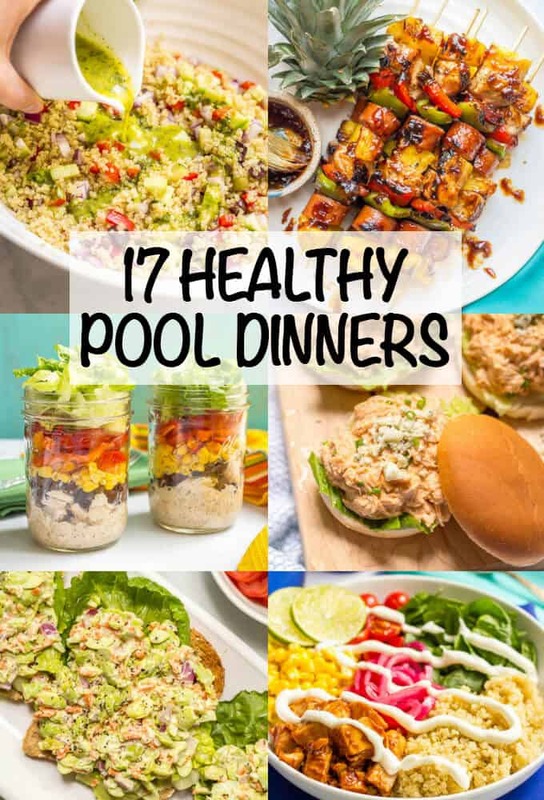 Check out these 17 ideas for healthy pool dinners (or lunches) that are easy and portable and perfect for summer evenings! 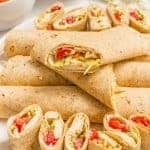 Everything from pasta salads to sliders to sandwiches and wraps to snack boards, plus tons of recipes to try. You’ll be set for a delicious summer of fun! And this year, I’m gonna be prepared with some healthy pool dinners I can pack for us. We are finally done with the days of napping and having to go home midday to give the kids a rest. They’re a bit older (7 and almost 5) and we can probably have some full days at the pool on the weekends when my husband and I aren’t working. I also like to take off on Friday afternoon and head over with them and have my husband meet us after work. And I hate having to pack up and come home so early just to get a decent dinner. Cause you know how I feel about homemade food. (ALL the feels, in case you are new to this blog and didn’t know!) I’m not big on the concession stand and I want to pack us up something delicious to take with instead. 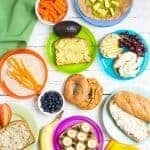 So I created this list and round-up of recipes for some easy, make-ahead and portable healthy pool dinners we can pack and take to the pool with us. 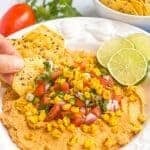 So without further ado, I bring you my list of ideas and below that you’ll find links to some specific recipes that would be great for eating at the pool. And of course, these are also all appropriate for packing up to take as beach dinners or for eating at the park. 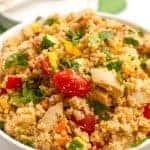 Pasta salad — such as a BLT pasta salad, chicken orzo salad, Caprese pasta salad, tortellini salad, etc. 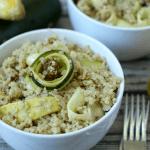 Quinoa salad — Mediterranean, Asian, Italian style, etc. 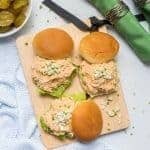 Make-ahead baked sliders — such as buffalo chicken, pesto chicken, ham and cheese, etc. Snack board dinner — hummus or dips with crackers, cheese, rotisserie chicken or deli meats, chopped veggies, nuts, dried fruit, etc. So there you have it! Tons of ideas to last you through the summer. 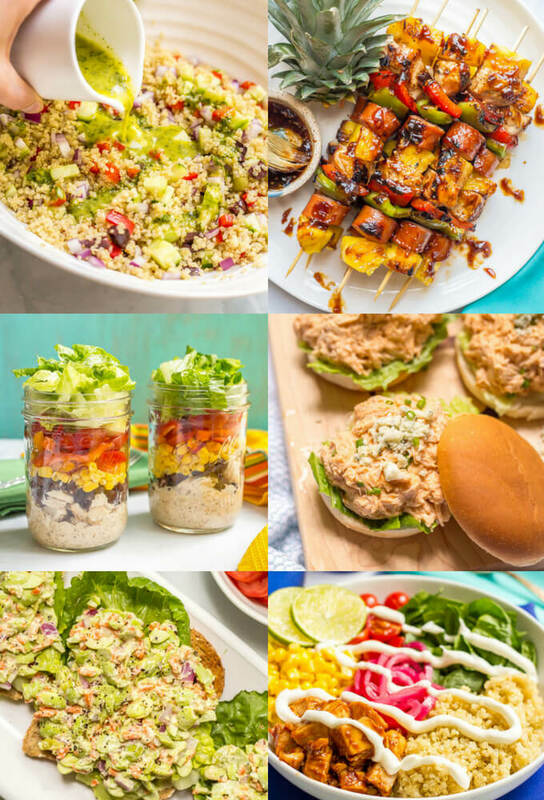 And if you want to check out some specific recipes for these ideas, I’ve got you covered! P.S. 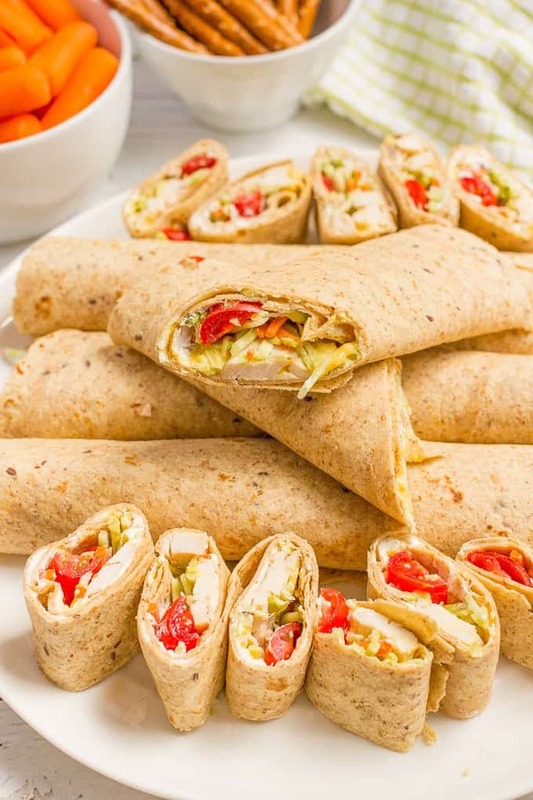 You may also want to check out my chicken recipes in under 15 minutes if you’re heading home from the pool and want to make a super fast dinner! These all look and sound amazing! 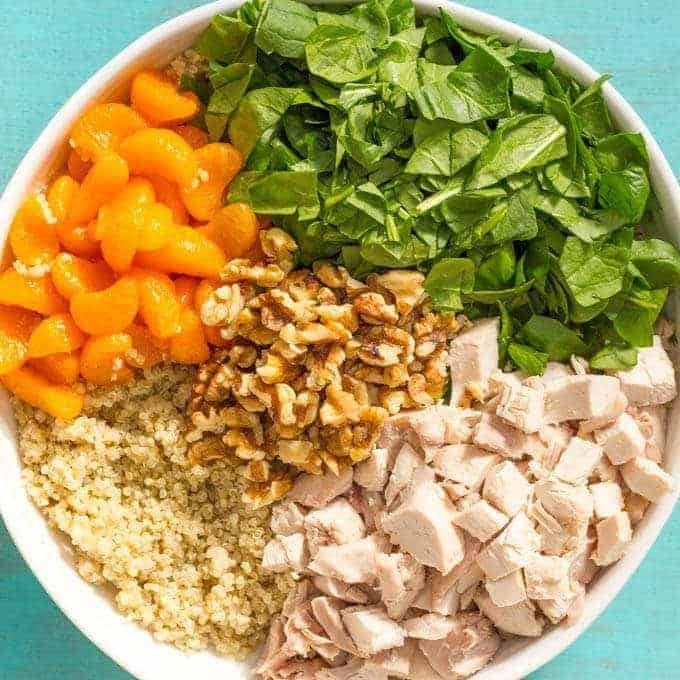 I love the salads you picked. Your kids are lucky to get this kind of food at the pool! I’m pretty sure I got peanut butter sandwiches as a kid- lol! 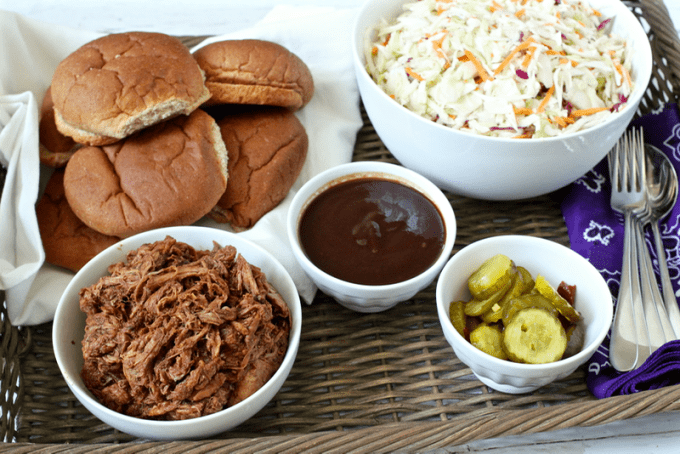 Pool nights, picnics, potlucks, just backyard firefly catching and star gazing – these will work for so many summer occasions! I love the age when you can spend the whole day at the pool. And whole nothings beats a pb and j once in a blue moon at the pool…these are the kind of meals I want to be eating.